AXA Affin announced their insurtech play AXA eMedic, which focuses on offering low barrier to entry e-medical cards targeted at young professionals and families. According to its CEO, Rohit Nambiar, much of the insurance sector currently focuses on roughly 6 million overpenetrated market, while there’s a segment the size of 10 million young professionals and families that are currently being underserved. In launching this new product, AXA Affin has partnered with various companies ranging from insurtech startups, telcos and digital health companies namely; PolicyStreet, Digi, BookDoc, and Naluri. AXA Affin claims that the entire process of signing up for the product takes less than 5 minutes and requires no medical check up. “When we started the journey there was 28 questions that underwriters asked to put in the platform, We asked for a meeting everyday, and each day we try to reduce it by one” said Rohit. He added that when his team finally came back to him with 7 questions, he insisted that there should only be 3, in the spirit of simplification. There are 3 key portions to their insurtech partnerships which are; digital distribution, proactive health management and claims/after sale service. 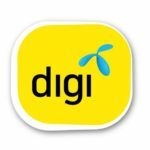 The digital distribution will be done through partners like Digi and PolicyStreet, a Digi spokesperson who was present during the event emphasised on the strong synergy between AXA Affin and Digi mainly due to Digi’s strong base of 12 million customers and 4 million of which are active in their MyDigi App platform where the AXA eMedic product will be made available, he also further elaborated the app enjoys 14 million screen views on a monthly basis. PolicyStreet on the other hand is well known as a insurtech startup that focuses on aggregating micro insurance product. Their team has recently made international headlines by appearing on the Forbes 30 under 30 list. 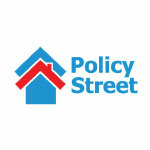 Rohit said that PolicyStreet’s strength in marketing to a younger generation makes them a really suitable partner. Beyond a pure digital distribution play, they’ve also partnered up with the likes BookDoc and Naluri. 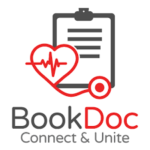 BookDoc is a popular app in Malaysia for on demand medical professionals service. Through BookDoc, AXA eMedic will use their rewards and gamification to encourage their policy holders to live active lifestyles. Whereas Naluri is a professional health and life coaching service provided via an app. 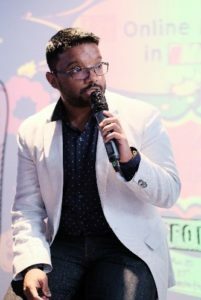 The company is founded by renowned Malaysian entrepreneur, Azran Osman Rani who was known for is work with iflix, the Malaysian counterpart of Netflix and also investing in fintech companies like MoneyMatch. “2 out of 3 Malaysian are struggling from lifestyle diseases, 3 out of 4 struggle to make these changes. What science has shown, if you make these changes with a coach you are 3 times more likely to make that change,” said Azran to drive home the point of approaching proactive health management holistically. The claims management will be managed through their app, in which policy holders will be able to present the medical card and check their policy documents via their mobile app. Rohit also revealed during the press conference that while customer support via their whatsapp channel AskMichelle is available, it is currently manually operated by the AXA team and they will be looking at rolling out a chatbot in the next 4-5 weeks. 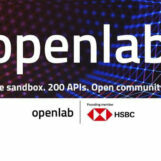 In creating this insurtech product, the AXA team took three and a half months to complete the entire digital end to end development and partnership agreements. Rohit says that this is a testament towards the speed and agility in which they operate. 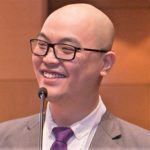 He hinted at their openness towards partnering with other companies for AXA Affin’s future insurtech initiatives.